Missing an important data due to corrupt file? Wish if you could recover at least some of the data from the corrupt file? File repair software is basically designed to recover your corrupt file and get maximum possible data from it. You can expect the basic feature of file recovery from all the software listed here. Following is the list of few of the best-picked file repair software. File repair is a powerful tool to repair your corrupted file. The software scans the damaged file and extracts maximum data from it to a new usable file. The software is designed to fix a number of errors including file is not in a recognizable format, unable to read the file, the file cannot be accessed, and out of memory errors. The software is completely free for download and use. 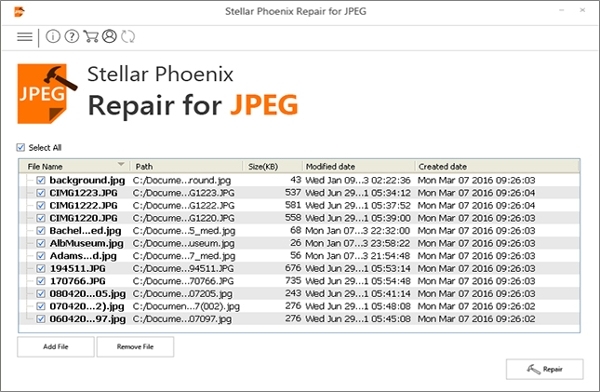 File repair software from Stellar comes with various utilities including Access database repair, Excel repair, and power point repair. The access database repair utility repairs both .mdb and .accdb formats and recovers components including tables, queries, and modules. The excel utility supports both XLS and XLSX format while the power point utility supports PPT, PPTX, and PPTM files. The software is offered with a price tag though you can try the free version before going for full featured paid software. File repair software from Adobe is basically designed for digital artists and photographers who work with PSD files a lot. The file often gets corrupt due to transmission from one media to other. The intelligent core of PSD toolkit analyzes the corrupt file layer by layer and extracts recoverable elements to a new healthy PSD file on your hard drive. The software supports PSD file version 3 and above. The software is free for download and use. 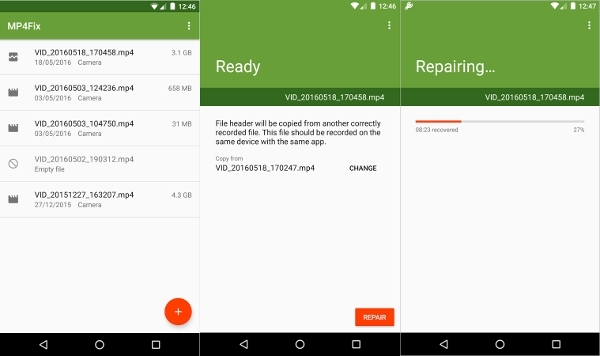 MP4Fix video repair tool is the file repair software specifically designed for Android platform. Did your device switch off due to battery drain while capturing a video? Don’t worry; MP4Fix has got all the tools to recover your video. All you need is a video shot with the same device using the same software as of the broken video and the software will do the rest. The software is specifically designed for fixing recorded videos from your device and not from the internet. You can view fixed video for free, though you need to upgrade before saving the video. 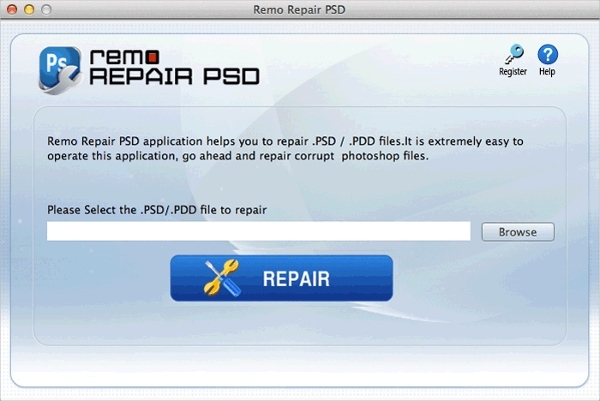 Remo Repair is the software specifically designed for Mac platform users. The software is basically designed for AVI Repairing , MOV and PSD files. These are the most widely used format for storing videos but is prone to corruption due to improper transmitting and poor network quality etc. Remo repair software has got all the modules you will require to repair such damaged files. The software is available with some charges, though you can try it before spending. 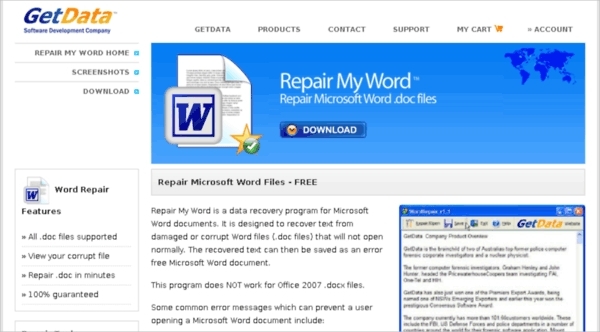 Repair My Word from GetData is the file repair software specifically designed for Windows users. The software is designed to recover text from damaged or corrupt word files (.doc file) that will not open normally. The software will not work for office 2007 .docx files. The software is free for use and download. This software can be used to recover files of MS word 06 or below. Hetman file repair is the most popular file repair software. The software can be used to repair damaged digital image files, RAW image formats, and compressed archives. The program fixes files damaged after unsuccessful recovery and virus attacks. 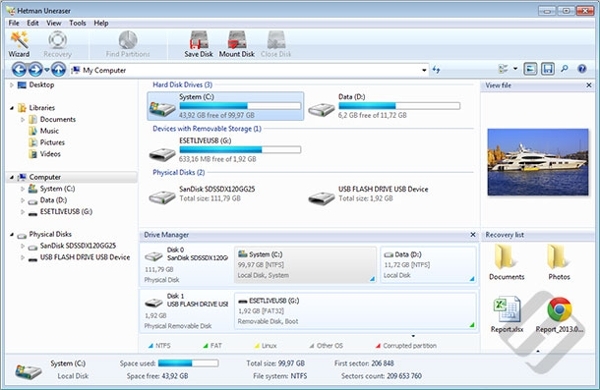 The software is available for free in two formats, installation, and portable. The installation allows you to directly install the software while the portable allows you to run the software without installing via USB. How to Install File Repair Software? Many of the data protection software listed above offer a setup file, allowing an easy installation of the software. Few of the software in this category are available as portable, giving you access from anywhere with just one requirement of bootable USB. File repair software is basically designed to repair your corrupt file and recover the data which would have lost. While some software in this category offers free service for the basic need of file recovery, the number of features gets limited for the free version. If you are looking for fully featured software with some advanced possibilities, the paid ones are for you. Each software offering some unique feature over others, it’s the question of personal preferences for selecting one of the best software listed here.